The natural aging process tends to be displayed as advanced signs of aging in the facial skin through sagging. This is displayed especially around the jowls, loss of plumpness in the cheeks, loss of fat from the face, droopiness around the corners of the mouth that consequently forms a sad expression and loosening of the neck skin. A Thread Lift is a less invasive alternative to a facelift, achieving natural looking results for a more contoured and lifted appearance. The main benefit of a Thread Lift is that it is non-surgical, therefore it does not have the potential risks and downtime required for a surgical procedure. 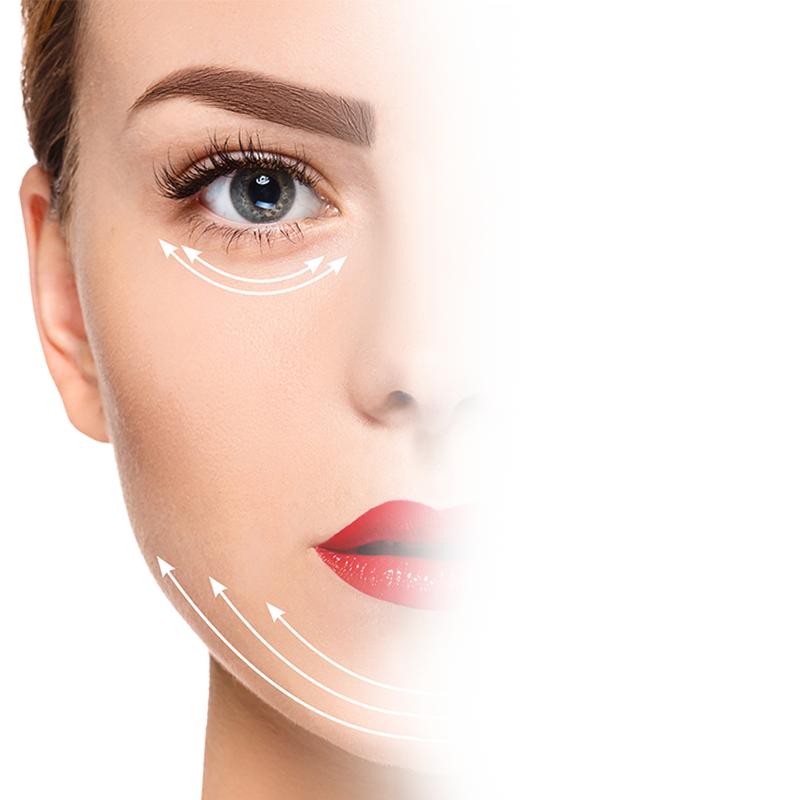 This treatment is ideal for those looking for a natural realistic result without undergoing a surgical brow or facelift; a man or woman between the ages of 30 and 60, who is physically healthy. The thread used is an absorbable suture and has small cone-like teeth along its length. It is passed with a needle about 5mm under the skin and is then pulled slightly to create the lifting affect. The thread will remain under the skin. The cone-like teeth grab and adhere to the sagging tissue – this action supports and repositions the skin. The needle is removed and the thread is cut, will retract under the skin and will not be seen. The material of the thread is absorbable and contains active ingredients that help restore volume to the face. Besides being inserted beneath the skin, the threads are also clear in colour so they are not visible. Multiple threads can be used to work on multiple areas. The procedure is usually completed in less than 30 minutes (although this depends on the amount of threads used). Local anaesthesia is used and the procedure should not be painful, though you may still feel slight discomfort. After the procedure there will be some minor discomfort for 24 hours, however pain relief and/or a cold compress will alleviate it. Usually patients return to work two or three days later. The benefits of a thread lift are instant and can last up to 18 months.